After a whole lot of anticipation, Donald Trump taking the stage as host of Saturday Night Live . The businessman-turned-presidential candidate began his monologue on the sketch show with a throwback Rosie O'Donnell joke/insult. 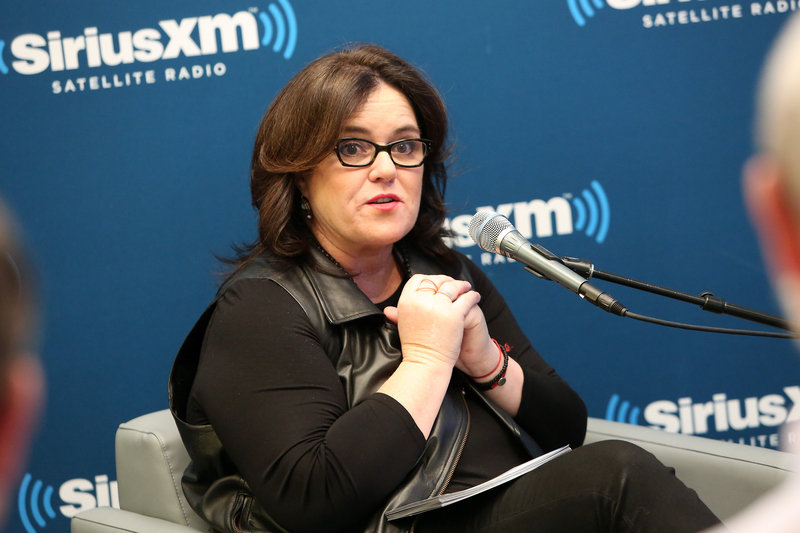 But did Rosie O'Donnell respond to Donald Trump on Saturday Night Live ? Not long after the remark, she posted on Twitter to defend herself. Trump spent his first few moments of his opening monologue talking about how he's a nice guy, followed by the Rosie remark. "I said mean things about Rosie O'Donnell, but they were completely accurate," he said. Ouch. O'Donnell's response was also in response to another Twitter pointing out that once again, Trump took aim at the comedian. "I told the truth about him — He didn't like that," O'Donnell tweeted in just 10 simple words and it's so effective. You go, Rosie. The remark is the latest in a series in the long-running feud between O'Donnell and Trump, which Trump has mostly been instigating lately. During August's Republican debate, Trump offensively joked that he only called Rosie derogatory names. If you didn't know, this is actually a feud that has existed since 2006 — almost a decade ago, when O'Donnell was a host on The View and she criticized Trump in regards to a Miss USA Pageant controversy. And nearly 10 years later, O'Donnell seems to have moved on from it, but it doesn't seem like Trump can let it go. It makes me wonder what possibly could get Trump to bury the hatchet and finally forgive and forget. Perhaps a Sunday brunch? A play date with their kids? Money? Another feud with someone else? Or perhaps just a simple tweet truce. Because these jokes are getting old, Trump. If you want to be the commander-in-chief, you'll need to learn to let certain things go and concern yourself with bigger issues.